Is an IPC required for chartering? If so, where? ASA strongly recommends you apply for an International Proficiency Certificate if you are chartering in the Mediterranean as well as the inland waterways of Europe and northern Europe. 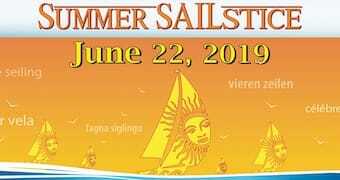 Most charter companies accept this certificate as adequate proof of bareboat skipper proficiency including Kiriakoulis Charters which has 300+ locations in the Mediterranean. As countries differ in their requirements, travelers should always check with their destination prior to attempting to charter. Who can get an International Proficiency Certificate? 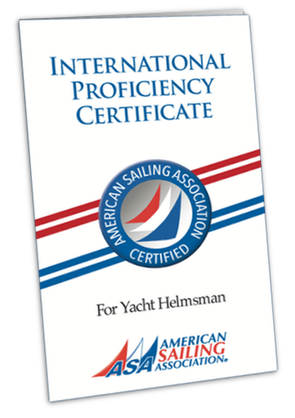 Only ASA members who have completed through ASA 104, Bareboat Cruising, are eligible to order the International Proficiency Certificate. 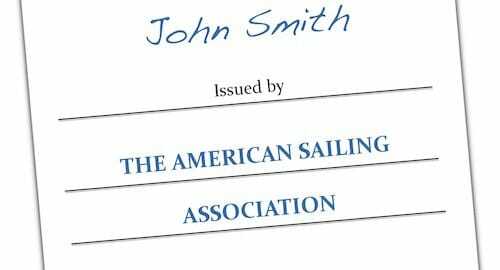 One must be a current member of ASA to be issued the certificate. How do I get an IPC? The certifications ASA 101, 103 and 104 are obtained though your local ASA School. You can get the International Proficiency Certificate today by completing our online IPC Application. If you have any other questions regarding the certificate, please contact us.